I've been there. It was back in 2001. Carole and I traveled to various Civil War battlefields the month she graduated from high school. We made a grand sweeping tour; visiting Gettysburg, Harpers Ferry, Chancellorsville, Antietam, and Richmond. (It's quite ironic to us that she now lives in the area where we probably drove through so long ago.) On the way back to Illinois, we stayed the night in Charlottesville because we wanted to see Monticello, Thomas Jefferson's home. I don't remember the statue in question. I remember how the town was stuffed around the hills and valleys. There's the University of Virginia and a large hospital complex and the myriad of one-way streets had us locked in a bit of a circle until we figured out we could go straight through one intersection and get back to the main road and supper and our hotel. Our visit was about Jefferson. Statuary was not involved. I passed through Chancellorsville three years ago, while driving from Warrenton, where Carole and Larry had just married, to Roanoke, where a friend lived. I remember the intersection between whatever road I was following and the Interstate, but that's about all I remember. But I can say I've been there. It looks nice from the road. Like you, I followed and have followed, events unfolding during and after the protest. A tsunami of words have flowed in analysis; some of it thoughtful; some head-scratchingly tone deaf. If you have not seen the Vice News segment on the march, you need to watch it. It's tough to sit through. There were several times I felt like turning it off. I don't want to watch this. The attitudes expressed here are beyond horrible. Indeed, I have no word to categorize how bad this is. But part of citizenry is to know, even if I don't understand. I admire the reporter and camera person's guts; to be where they were not welcome. Watch the 6 minute interview between reporter Elle Reeve and Anderson Cooper of CNN. She adds information on what she experienced directly. All of this is sickening. I heard a couple of people wonder how we got to this point in our history. I would argue, as have many others, we've never left this point. Since the founding of this country, we have always had a group of people for whom blacks are a subspecies. We are very good at covering this up. One thing that struck me in the aftermath was somewhat a unified comment these white men have made when exposed as being at the march. "I'm not a racist." Some people in the video openly declare they are even if they don't use the word. But many, when confronted as being at the march say, "I'm not a racist. Ask anyone who knows me. I'm not racist." They never seem to get that association with white separatists is endorsing racism. The biggest facepalm moment was the guy who said, "I've got black friends. I'm not racist." That one comment, out of the reams and reams of comments I've read, made me the angriest. Having a friend in a marginalized group does not give you a "Get Out of Racism Free" card. It simply means you have someone in your life who maybe overlooks your racism because you both play Settlers of Cataan, or like to discuss the chances of the New York Jets not being in the bottom of the league. Having a black friend does not mean you're not racist. 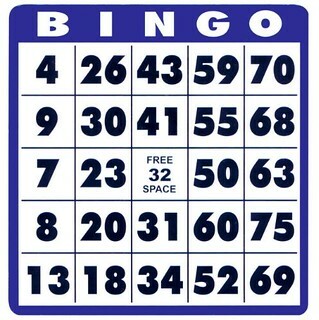 Replace the letters across the top of a Bingo card with the letters LGBTQ. I have lesbian, gay, bi-sexual, transgender and queer friends. BINGO! What do I win? I honestly don't see them as their labels. I see them as the people they are and I knew and liked them before they came out. The label is, for me, the same as saying they are Scottish or German or Indian. It's just another part of who they are. You don't get to "win" or have your racist, homophobic, or derogatory views unchallenged just because you happen to know someone in the very group you denounce. There is no "white culture". This purity supremacists want to preserve is an amalgam of cultures from thousands of years of migration. We humans have been mixing up our genes since we were in Africa. I laugh way too hard at the stories now circulating that have white supremacists doing DNA testing only to find out they aren't what they think they are. I have been reading, reading, reading. My historical assumptions have been challenged. I was taught the "myth" of State's Rights. I read, but now can't find it, of course, an article critical of Ken Burns' The Civil War mini-series; saying he presented a "white washed" (words intended) view of the conflict. He has yet to answer this critique. I've had one friend; Southern boy to the core; renounce the flag he defended earlier this year when New Orleans took down their statues. It was his culture and we were erasing it. He has come to realize it was about slavery, not culture. I don't have black friends. I used to, but in the grand journey that is life, we drifted apart. I wouldn't say it was because I was racist in an earlier time. I wasn't raised that way and I don't think any of my life actions could be called racist. People wander into and out of your life just as a matter of course and that's what happened to us. I don't know any Latino people. I have Asian friends. Again, none of this is to "win" a column on a game board. I would hope, as I continue to wander this life, people would be my friend because we share interests, not because they need to tick off "Scottish female" on some internal scorecard. This is not a game. If ever you find yourself saying, "I'm not racist" or "I'm not homophobic" or "I'm not anti-Semitic" or "I'm not [insert group]", you are. Plain and simple. If you have to qualify your actions or speech with any of this, you are what you say you aren't. Look at why you believe what you do. How are your words or actions marginalizing someone? Toss out the scorecard and like people for who they are.